Refrimatiz is a leading company specialized in the installation and maintenance of air conditioning, industrial cold and ventilation. Refrimatiz was founded by Jesús Navarro García in 1988 and over the years and with the arrival of the twenty-first century the company expanded to new fields such as heating & acs and creating specific departments like engineering to carry out large projects. At the beginning of this trip, our facilities were located on Churra (Murcia), but due to the evolution and continue expansion in specialized fields, the company had to move on to Santa Cruz (Murcia) in order to settle in a facility convenient for the company. Nowadays Refrimatiz offers integral services in the fields of air conditioning, industrial refrigeration, heating and ventilation, for the industrial, commercial and domestic branches. Our great experience makes us able to provide a fast and efficient service. 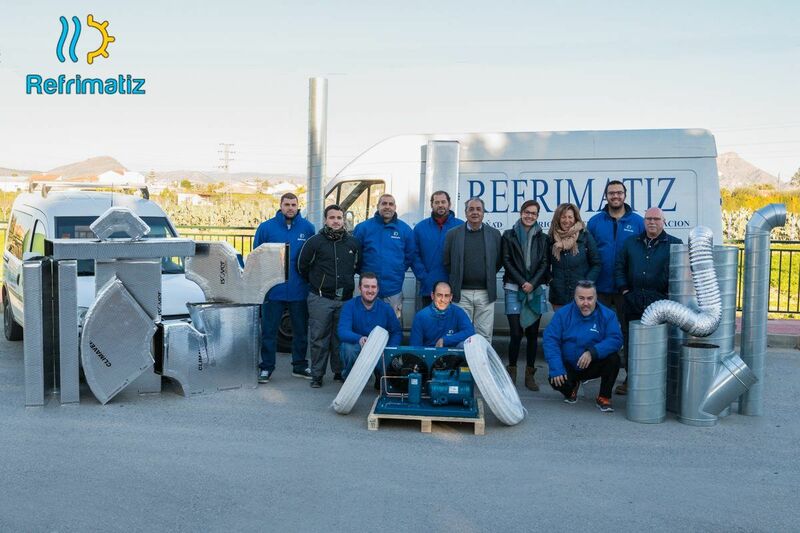 Refrimatiz with headquarters in Murcia, perform their services throughout the national territory with special mention on the Mediterranean coast of Spain as Alicante, Valencia, Murcia, Albacete, Almeria and all their respective districts.